There are no shortages of opportunities to write about the ever-deteriorating state of the world, the crises, catastrophes, existing and newly threatening diseases and epidemics, etc. But while we may become aware and informed regarding things about which we’ve long been warned and that are now upon us, we are not left any the better off, nor really empowered by the information. Those of us that clearly recognize the reality of the situation, including the inevitability of the impending, unstoppable coming events, can all too easily succumb to the same kinds of avoidance, depression, etc., that other people do, even when they barely recognize the seriousness of the situation. The most effective remedy I know of is to actually read – think about and implement – the spiritual teaching. This concept, its explanation and implications are stunning, shocking in fact when considered in its reality, as evidenced by the ever-imploding effects in the world, i.e. the increased conflicts, terrorism, wars, etc., which at their core are based in the anti-life, anti-evolutionary religious and political beliefs, cultic systems, etc. This can only be fully realized and experienced through the explanations in the spiritual teaching which, unlike the aforementioned, regressive and degenerative systems, actually antidotes the negative, consciousness-crippling and life-enslaving effects that otherwise ceaselessly take their toll on our physical, emotional and mental well-being, and elevates our consciousness. I have created two Special Offers containing an abundance of the incomparable wisdom and consciousness-enhancing spiritual teaching that will give you the uplifting, life-affirming companionship that only the truth can provide. See all the Books and DVDs and visit the Digital Downloads Store! 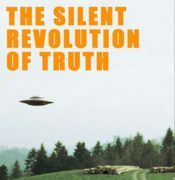 Each Special Offer package also includes The Meier Contacts AND The Silent Revolution of Truth (arguably the best UFO documentary ever made and includes all three Special Features) DVDs FREE! 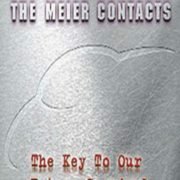 These DVDs are the two earliest productions on the Billy Meier UFO Contacts from They Fly Productions and provide a profound retrospective on the Meier contacts and include the prophetic warnings that have fulfilled since after the release of these presentations. Each Special Offer package contains $200 worth of books and DVDs and includes insured shipping! Total cost: $145 each package. Ask about other package deals! Please allow 10 – 14 days for delivery. Prices are for domestic orders only, please enquire about international orders. Hello Michael! My wife recently purchased a book for my B day , The Goblet of Truth. Question! Is this the Spiritual Teachings? I had told her this is the spiritual Teachings but after reading your recent post on theyflyblog I’m not so sure now. Please help! my wife’s name is Charlene Vasquez and she recently made a purchase a few days ago. The Goblet of Truth is the teaching of the truth, teaching of the spirit, teaching of the life from all 7 prophets: Henoch (Enoch), Elia (Elijah), Jesaja (Isaiah), Jeremia (Jeremiah), Jmmanuel (Immanuel), Muhammad (Mohammed) and Billy (BEAM). It is part of the Spiritual Teaching. Hello Michael. Just read an article on phys.org about how life on are planet started in fresh water not a salt water ocean. If they had read the contact reports they could of figured this out decades ago. Please send a link to that article. 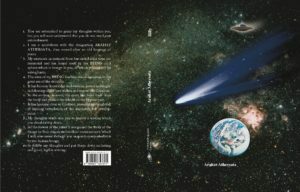 Michael would you or anybody here be interested in chipping in towards buying a few or several books to send to Joe Roegan who is genuinely into UFO subject matter so that it may lay a path of possibility one day for you to be interviewed in his podcast which will then give the zmeier case that much more exposure? If anyone wants to step up and help create interest on Rogan’s part to interview me, I would suggest the Photo-Inventorium (http://www.theyfly.com/shop1/main/product/16/photo-inventarium) would be the best single one to send to him. If he doesn’t respond to that, it would be pointless to send anything else. One might consider first sending an email to to him saying that they are willing to send the book…IF they respond with willingness to look at it. $145 for 3 books plus 2 DVD’s is a good deal. I recently received my Arahat Athersata German/English translation via MH, thanks. Wow, over 1/2 billion dollars raised (via donations) in 12 hours of the fire that destroyed the Notre Dame cathedral to rebuild it! Imagine if the people only knew Christianity over the last 2,000 years was the evil handiwork of the Bafath, and that God does not exist, and praying to a tin-god that is powerless to help or hurt you, because it does not exist. 1/2 a billion dollars would go a long way towards birth control for this planet (fund a birth-stop), or go a long way for high quality FIGU spiritual teaching book translations for the whole Earth to read, in a variety of languages (English, Russian, Chinese, Arabic, Spanish, etc). My people are capable of funding fantastic ideals, whatever they set their mind to, if only the truth were explained to them just so, and in a certain way to prevent uprisings, if only they were given the chance, the donations would probably be in the trillions if only it were possible to explain the truth to all of humanity, and have gewaltsame Gewaltlosigkeit ready to go in case people start acting a fool. The first thing I would explain to the masses is the consequences of overpopulation, on all the main television channels in all countries 24/7, and then break it slowly from there. The people deserve to know the truth, if only it were possible. The people will find out the truth one way or another, I would much rather they find out before the fall of humanity, before there is a nuclear war, before Apophis strikes, before the ’48 predictions come true (which are set in stone), I would much rather the people find out the truth before the 200-year long prophecies of an evil future for Earth humanity (due to terrorism and overpopulation consequences) of contact 669 come true, as these are changeable still. Things will work out for Earth humanity in the long run, but doesn’t the short run deserve some notice before the downfall of humanity that we will have to rebuild from, and learn our collective lessons?